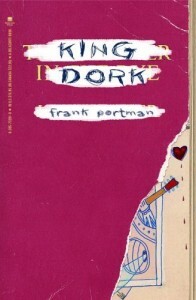 A while ago I read and reviewed Andromeda Klein, and one of the things I mentioned was that I was going to read King Dork, Frank Portman‘s first book. Well, I did. My Andromeda Klein review has recently been re-published in Sekhet-Maat‘s journal Lion & Serpent V. 15 n. 1, so I’ve been revisiting this and realized that while I did, in fact, read King Dork, and even made notes for a review after; I didn’t actually do a matching review. Okay, maybe not “matching” so much as musical chairs. But, wait, before starting this, I think it’s important to set the mood. You should be listening to the right kind of music as you read this review, and, frankly, while your read King Dork. So, you should have prepared a playlist. Be sure to select some post-punk. For this review, I’ve selected for you some samples from the Best of the Mr T. Experience, Frank Portman’s group, and can also suggest a Mr T. Experience station on your Internet radio of choice. And, really, you’ve simply got to have the MTX track “Even Hitler Had A Girlfriend” in there somewhere. Okay? 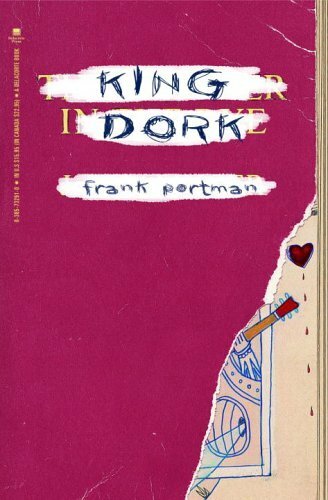 King Dork is the story of Thomas Henderson and his struggles to find his place in the world in and out of high school through the lenses of music, sort of, and The Catcher in the Rye, sort of. Yeah, he’s a wannabe rebel without a tune. But, he’s working on that. Look, by now there’s been plenty of other reviews for this book, so I’m going to just talk about what I want to talk about. Instead of just going over the story I’m going to talk about other things, however I will say KD is a better book that to me is not quite as good as AK. Don’t get me wrong about this, because I really liked KD a lot, but I’m glad I read AK first. I think KD reads easier and feels more solidly written and speaks in a voice more grounded. That’s not to say that both aren’t grounded. I find this groundedness to be one of the best parts of both these books and that they are both quite essentially real. I made a comment in my AK review about possible connections to the Wold Newton universe (and, there’s even internal cross-over between KD and AK), but on reflection I think that the passing and silly suggestion of moving these stories into the world of the pulps would seriously be a disservice to the essentially real nature of these two narratives. Although wild and wonderful, there’s really nothing in either of these books that couldn’t be some person’s non-fictional lived experience. That’s especially important, for me, for AK, but it’s also true of KD. But, hey, check this out: KD has a dénouement, or maybe for KD more appropriately a coda, which kind of wraps it all up; the absence of which in AK makes me wonder if this was something the publisher demanded in KD. I think this is part of what makes KD more readable and smooth, but also is interestingly less idiosyncratic in comparison. It seems a bit like a bizarro Clockwork Orange, where the retrospective ending got added instead of lopped off. I made such a big deal out of AK not being an orphan in my other review, that I have to get this out of the way. King Dork is an orphan, of sorts, due to his dad being dead. But, KD doesn’t really have super powers … or does he? (Compared to my life, he sure seems magical.) But, no, really, I’m getting distracted from the fact that my point here is to back-peddle, so … I think it’s great and awesome that AK isn’t an orphan. I’m slightly miffed at how formulaic KD is, as a loser boy who turns out super cool and gets the chicks; but, you know, I’ll get over it. Frankly, I identify more with AK and I wish I were more like KD; but, you know, I want to be both, really. So, KD is pretty heroicly the outsider, reading this first book made me realize again how awesome it was to have the main character of AK be a woman, and moreover a woman engaged in magick in a real way. I know this post was really supposed to be about KD, but I’ve already blurred the two and I can’t pass up this chance to hit the high note in the refrain about how wonderful AK is. There’s still a lot of explicit and implicit misogyny in ceremonial magick and it’s important to point that out, but also to celebrate, in order to recover and reveal, the often hidden work of women. Yeah, yeah, I know AK is fiction, but it’s part of an important trend of telling women’s stories. There was a post over on Plutonica a little while ago that also points some of this out, and it’s something that shouldn’t be ignored; I’ve also certainly noticed what seems like coded (and, honestly, sometimes completely open and plain) misogyny in the way that some ceremonials talk about witches, for sure, and even in the way those two terms seem inherently gender segregated. (At the same time, it’s important to recognize that some of this expression is about the larger cultural context, not always inherent in the specific system, in which those expressing it are in, and so sometimes, but not always, a symptom not a disease.) AK is a woman, fictional to be sure, doing magick, moreover ceremonial magick. (I don’t know, but it’s also something interesting that like both Starhawk and Moina Mathers, this woman is also of Jewish descent. Why do these things seem to colocate? Is it an exotification filter?) Even within the realm of fictional stories, so very often the main protagonist is male. There’s been a strong recent trend in stories featuring Sheroes, for example Garth Nix’s Abhorsen Trilogy and the extensive series of Tortall stories by Tamora Pierce, in which AK participates by virtue of her gender; and it’s a good thing that we’ve moved not away but to include more than just the boy who would be king or jesus in our current cultural mélange of metaphor and myth. KD is a hero of course. He gets more action in the couple of months covered by the book than I did in my entire high school career, and let us not even mention the state of my life now, okay? No reason to end this in tears, after all. Yeah, that’s a sad thing to admit, I suppose: even the fictional KD gets more action than I do. But, as much as KD is a hero to the geek in me, AK is more dear to my heart. I think it’s really quite simply down to the interiority of AK, which speaks more to my own experience and my experience of my thoughts in the world. I have to admit AK feels more real to me; but, KD is a more grounded read. But, here’s a thing: the more or less ease of the read seems to reflect the interior confidence of the character through whose voice each story is told. In AK, the narrator is essentially uncertain with her own self, and struggling through the exterior world in order to find her inner strength. In KD, the narrator is essentially confident of his interior life, but is struggling with finding a place in the exterior world that reflects that inner confidence. These seem to directly reflect stereotyped cultural gender identity norms of expectation and experience. So, I actually find the differences in voice as they appear through the text as I’ve read them to be reflective of the characters themselves, and some really important exploration of culturally defined gender as it is displayed in identity formation for each individual. … you know, to sum all that up: they both are about teenagers in high school. As similar as the two are, in a kind of mixed-up fairy tale kind of way, there are marked differences. And here’s the crux of it as it seems to me: where AK was seeking connection and meaning through interiority, KD is yearning for connection and meaning through exteriority. About the interiority in the one versus the other, I have to wonder if that’s reflective of a gender stereotype somehow; but, I already talked about that. 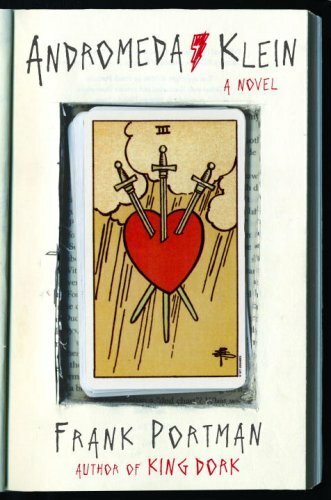 The illustration of KD as the King of Hearts on the cover actually contains several interesting symbols which are meaningful to the story without really giving anything away without having read the story, which was one of the points I made about the AK cover. 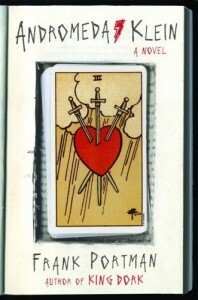 In the old decks, the King of Hearts was Charles, and thus Charlemagne. Charles is Tom Henderson’s middle name. In Alice in Wonderland, the King of Hearts is merciful but childish. Being sans mustache, as opposed to the actual appearance of the King of Hearts, points out pre-pubescence and youth, or at least the ascension of youth to the trappings of adulthood. And, a Suicide King is topically relevant to the story. Also, if it weren’t for the back cover text revealing the relevancy of Catcher in the Rye, the cover would be pretty brilliantly subtle on that point. Swear to gods, I want KD and crew and AK and crew to meet. I can’t decide whether I’d rather they coöperate or compete. 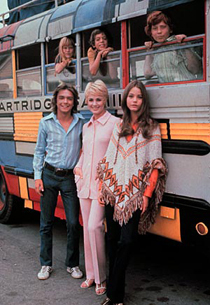 Maybe it can be like a mirror, mirror Partridge Family meets Scooby-Doo, bus to van and group to gang, snapping fingers, snapping fingers, in Zombieland? Look, I’m being silly again with the suggestions. But, like the awesome first segment in Shaun of the Dead, there’s a way to go places grounded but through a lens. Both KD and AK have threads of core mystery within the tapestry of these stories, and there’s a way to ask “what does it look like in real life?” when exploring esoterica, like AK did; while still being fun, like both do. 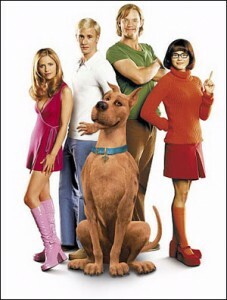 See, I want my Scooby Doo with some ambiguity, because there’s no freakin’ way that those junkyard Rube Goldberg disguises and machinations would have actually fooled anyone as completely as the gang was constantly, unless something very interesting was really going on; and, I don’t need to have that explained, and even prefer it have a bit of that unknown remain in both process and result. As for Scooby, I suppose I don’t mind some scientific rationalism in my mix as long as it is neither all there is nor is it just plain dumb. 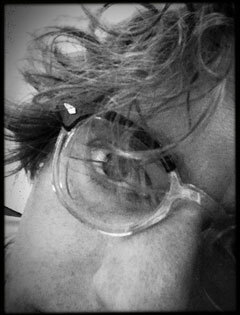 Anyhow, one thing is for damned sure: I need to join a band. I have a strong feeling a song is coming on. And, while I’m in the garage with my band, you know, coming up with cool band names until we learn to play something … pick up King Dork and revel in the rebel once again.